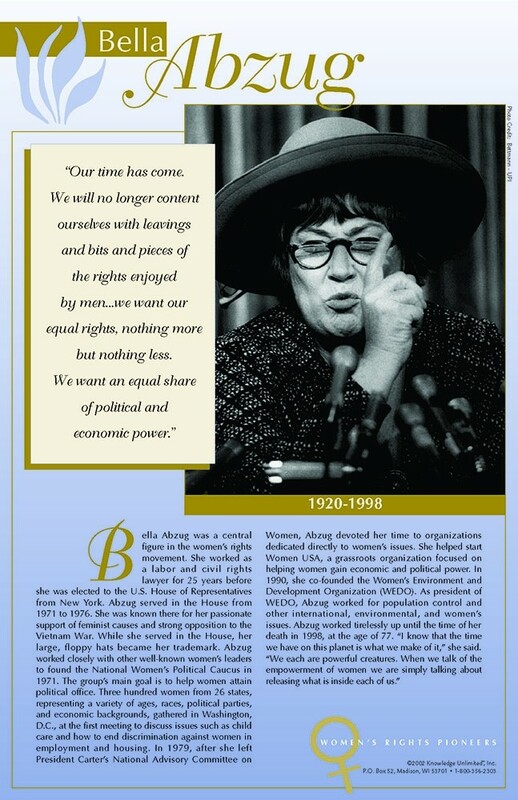 This poster of Bella Abzug features a photo, a quote, and a brief biography of this well-known women's rights activist. The quote says: "Our time has come. We will no longer content ourselves with leavings and bits and pieces of the rights enjoyed by men..we want our equal rights, nothing more but nothing less. We want an equal share of political and economic power." 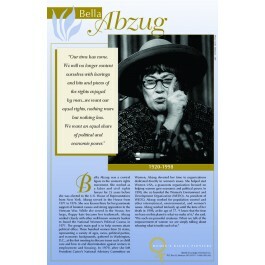 Bella Abzug, a labor and civil rights lawyer was a prominent and colorful figure in the women's rights movement in the 1970s, 80s, and 90s. She represented a New York district in the U.S. House of Representatives from 1971 to 1976.